This small hotel's entrance is easy to miss, and at first you're not sure you've entered the right doorway. However, once you're in, you can't help but smile. The staff is polite and pleasant, and eager to help. From carrying our heavy bags to bringing our delicious breakfasts to our room, our stay went off without a hitch. We both highly recommend this hotel, for its location, its value as well as its quality. The biggest plus is the location. It is on the outer circle of CP. The approach is bad, walking up a flight of stairs and having to cross an abandoned property. But the inside is decent. The staff was quite helpful. They serve breakfast from 6:30 am and the choices are good. There is no separate dining are and you have dine in your room. The rooms and bathrooms are clean. The Wifi was weak and does not work reliably. The tariff is quite cheap. The place is quiet at night. Centrally located and is good for nearby nighttime eating out and bars. But that wasn't important for me. The hotel is located within an old building and in the back so my room was a bit dark. It can be noisy at night with the music from bars at night. It's an older facility, so space is smaller, and with damp, moldy smell. Staff are very courteous. Good breakfast which is served in the room since there are no public dining facilities. I had just stayed there for only 1 night, the location is so great to go around in center of city for shopping, eating, and taking a train. Room is so clean and quiet conformable, but I could hear some noises from the next room even opening the closet, door etc. overall, i am satisfied to stay there. This is a very nice hotel, even it is very small. their service and location is perfect. a lot of shops, local shopping, bars, pub, around the walking distance. easy to access to anywhere from this place. but the hotel sign is quite small and not easy to find, the hotel is on the 2nd floor. The hotel dooesnt have a restaurant but they serve the food according to the menu so that shouldnt be a problem. 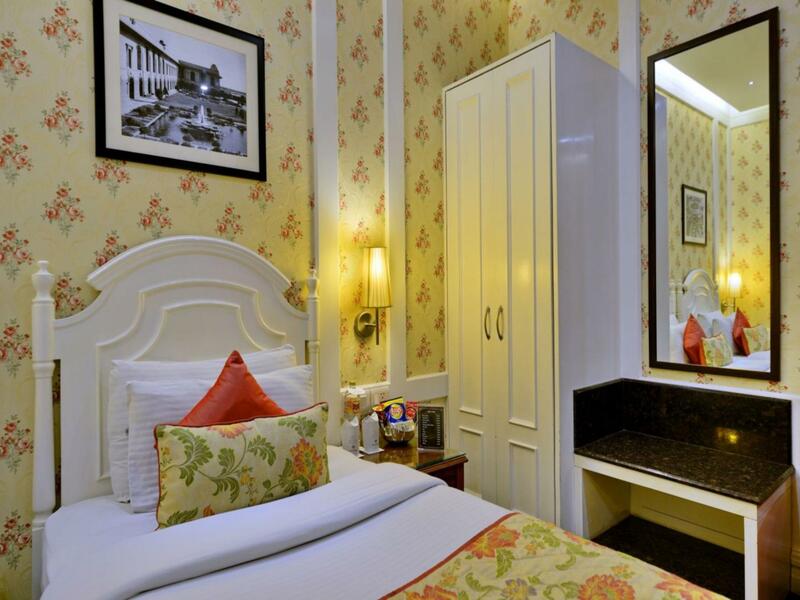 More over, the hotel is located conveniently in CP where there are lots of restaurants in walkable distance. Only downs: A bit pricy and doesnt have elevator and some rooms are congested without space to keep luggage. 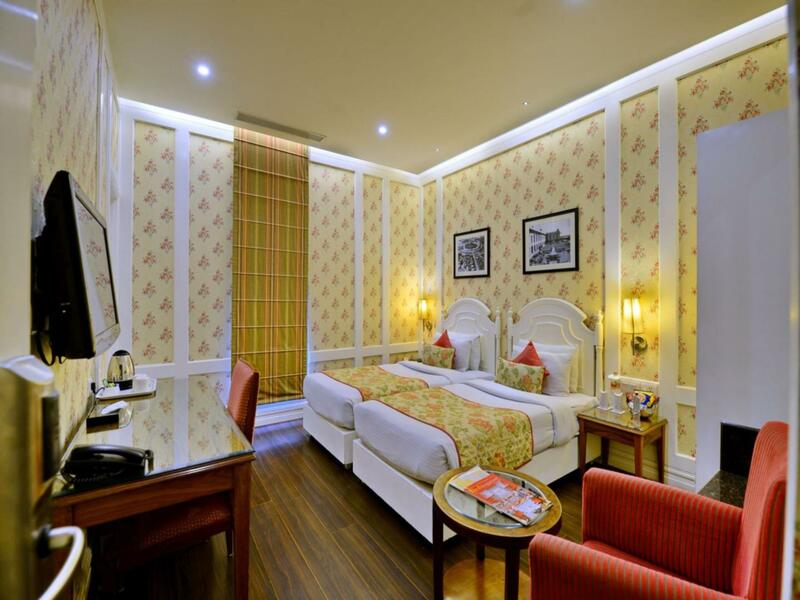 The hotel is overall a good one, nice interiors as the hotel is being recently renovated; centrally located in the shopping area of Connaught Place and has helpful staff. Found it a bit costly but then hotel prices in India are skyrocketing with poor service. Compared to many other hotels I stayed, I must say this hotel is good even if it is on higher price range. The only negative I see is that the hotel doesnt have an elevator and the hotel booked taxi is costly despite the crappy car that they engage. My suggestion is not to book the taxi from the hotel. Hotel Bright never disappoints, clean, comfortable, excellent staff and a wonderful location. Nice staff, hot water, soft bed, lean and very close to everything. A little hard to find but the hotel staff are friendly and helpful. The room service breakfast (included) was tasty and served on time daily. It worked out great as a base in Delhi while we explored the city. Good central location in CP. สถานีรถไฟใต้ดิน Rajiv Chowk - ระยะ 0.3 กม.